Who loves learning about the latest tricks and tips in marketing more than a used-car dealer? No one that we can think of, and that's why DrivingSales.com is a great marketing resource for car dealerships nationwide. First developed in 2009, says Brian Osborne of Geek.com, DrivingSales.com has become the Facebook for used-car dealers who want to exchange marketing and social media ideas, recommend tech vendors, give props to dealers who are staying ahead of the game and offer advice for the novice dealer. This social-networking site is full of so many valuable resources. Here are a few reasons why you want to have a gander at this networking site; it could inspire a few ideas of your own. In it's blog section, DrivingSales.com encourages users to post, comment on and share articles, press releases and information on car-sales events, innovations in cars and sales. One recent post addressed how a new database platform, SureSale, was allowing Phoenix car dealerships, like Freeway Chevrolet or Tucson Fiat to have access to CPO (certified pre-owned) inventory, if it doesn't have a business model that reflects a CPO program already. The blog is updated frequently by thousands of users daily across the U.S. and touches on international and domestic issues as they are applied to the auto sales industry. Because a car dealership's success relies on its relationship with product vendors, DrivingSales houses the largest cross-vendor database online. According to the site, its database also provides performance data for other car dealerships in North American and provides dealerships with the most statistically accurate performance benchmarks and metrics so dealers know who their competition is. Building your knowledge base is essential to building your marketing strategy. DrivingSales created a full online curriculum that offers a range of sales strategies for car dealers who want to grow their business, called DrivingSales University. Paving the way to a more profitable future for car dealerships, DrivingSales University is available anytime and their learning modules are updated with new information by the hour. To drive more traffic to their dealerships, salespeople are using social media as a vehicle for many of their marketing strategies. DrivingSales Media department offers updated news on the latest trends in social media, technology and sales tools and how they rate among other car dealerships. Because many of the writers for DrivingSales are also dealers and salespeople who work in the auto industry, their knowledge and tips are coming from first-hand user experience. Having a social networking hub allows dealers to share ideas, recommend social media tools like Facebook and Twitter, give accolades to the salesmen who are excelling and offer updated information to salespeople who are trying to build a stronger foundation for their dealership's sales. 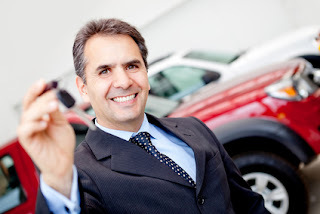 Why Should Car Dealerships Have a Facebook?